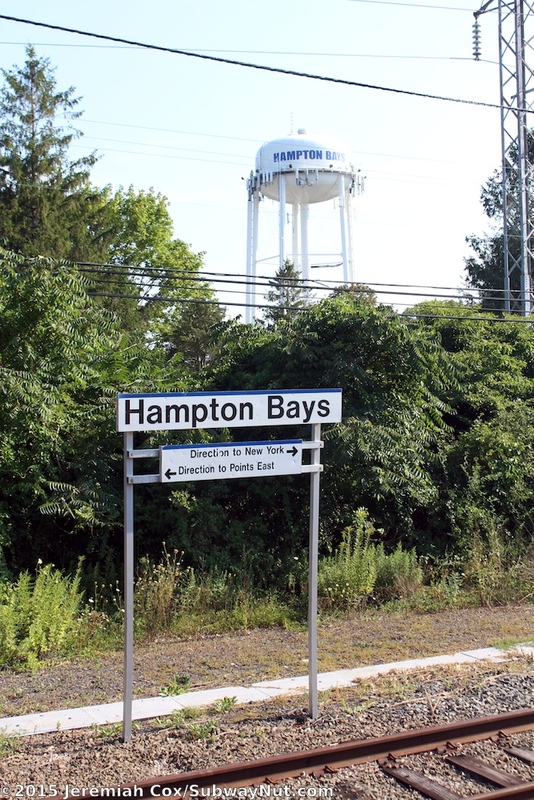 Hampton Bays is a simple LIRR Station with a 6 car long high-level side platform built around 1998 on the northside of the main line track across from the long ND siding. 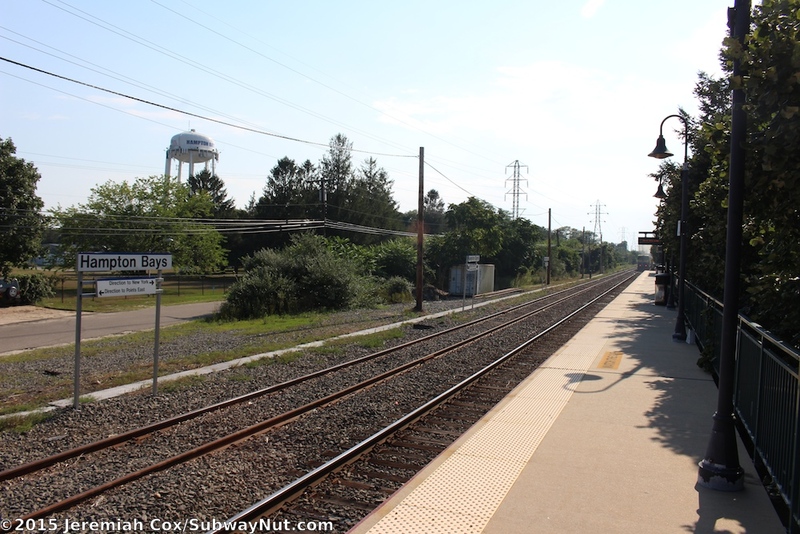 This crosses through the station but has a second switch just south of the platform allowing a train to stop and then take the siding. 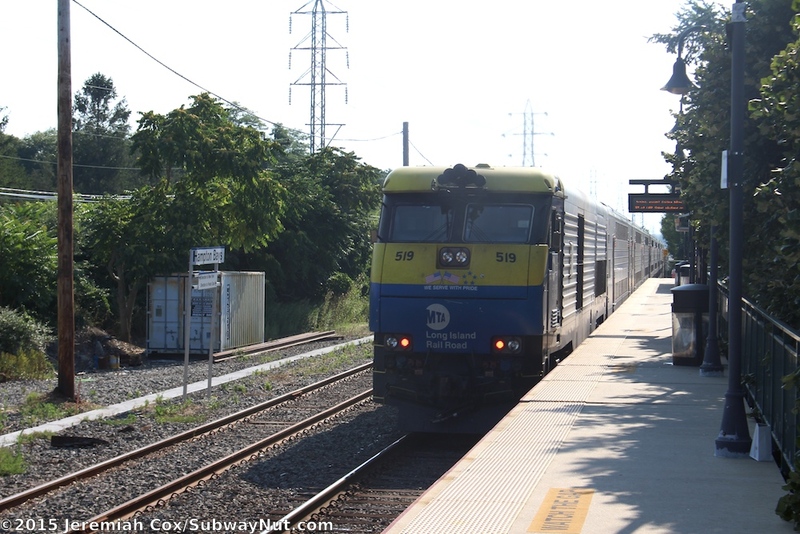 It is a place where trains sometimes meet in the dark territory that is the East End of the Montauk Branch east of Speonk. 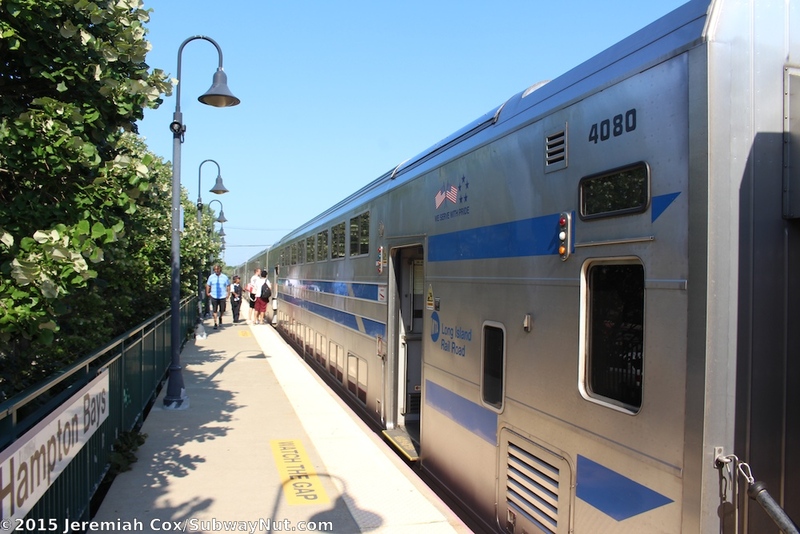 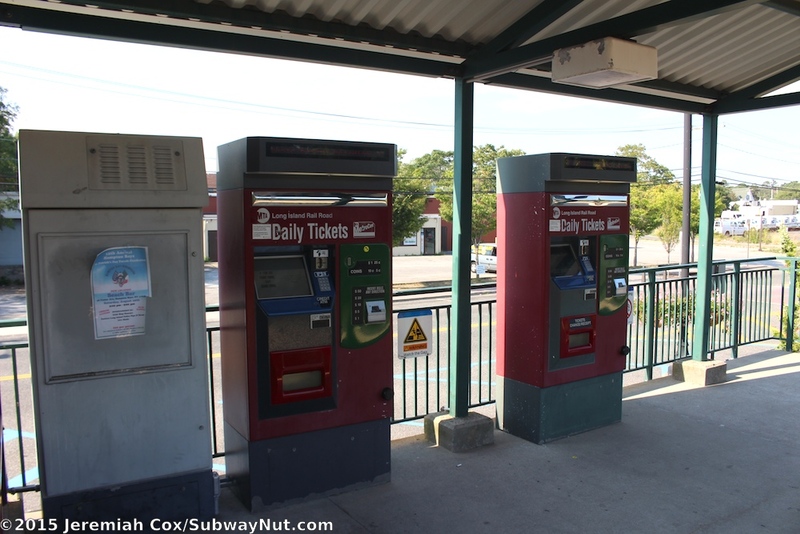 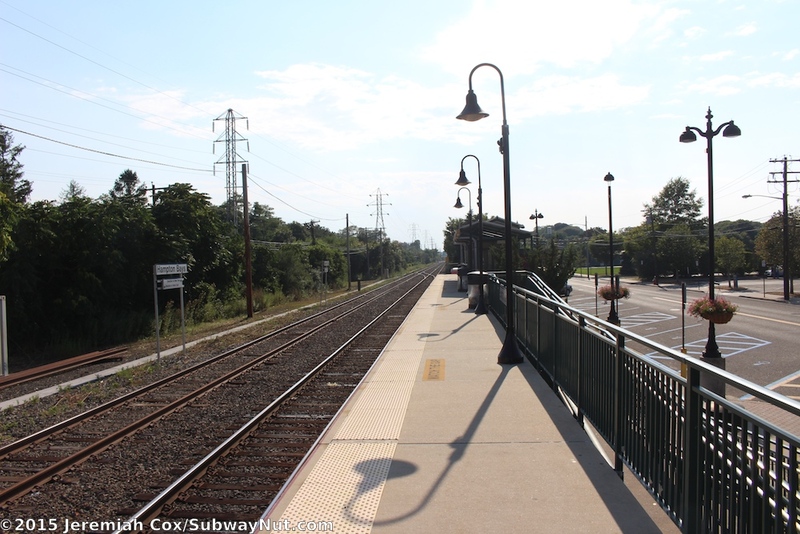 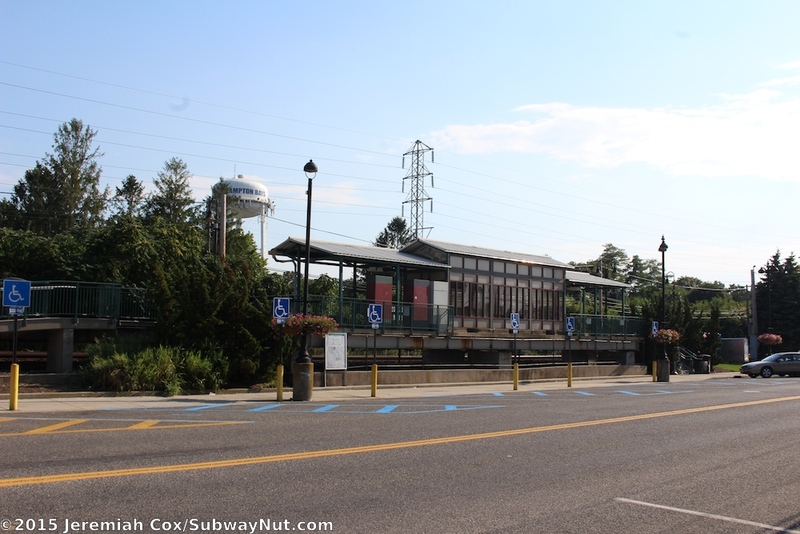 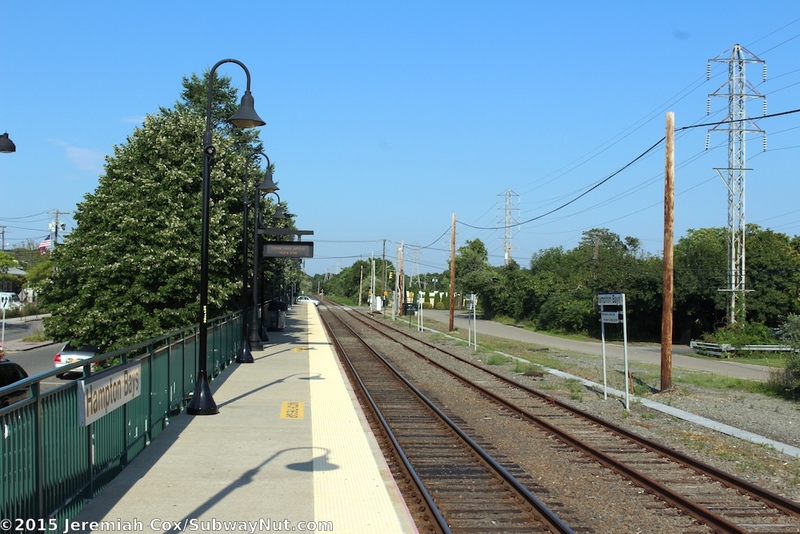 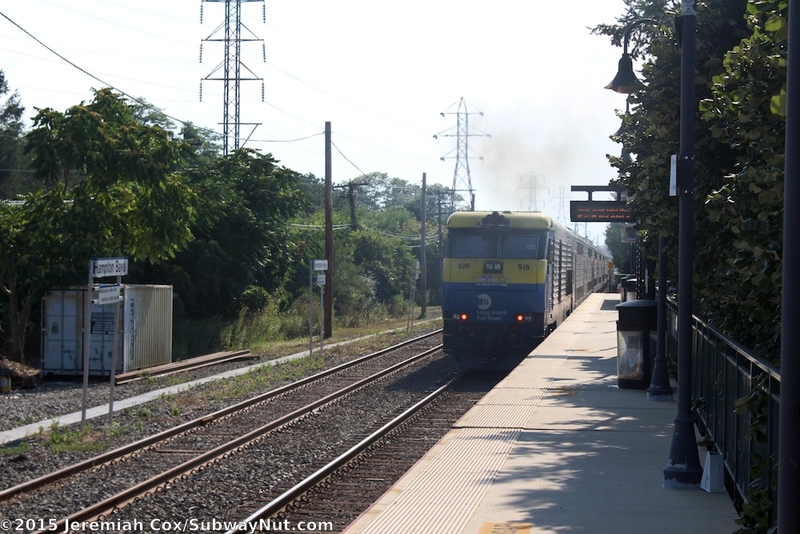 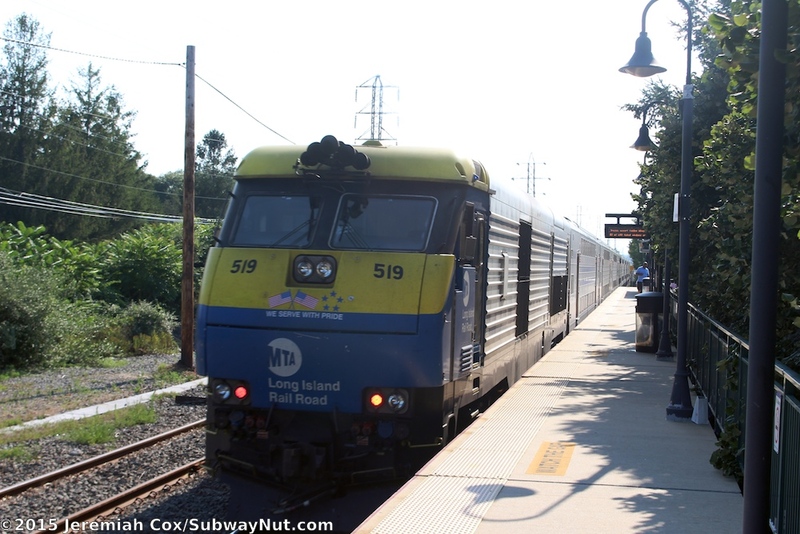 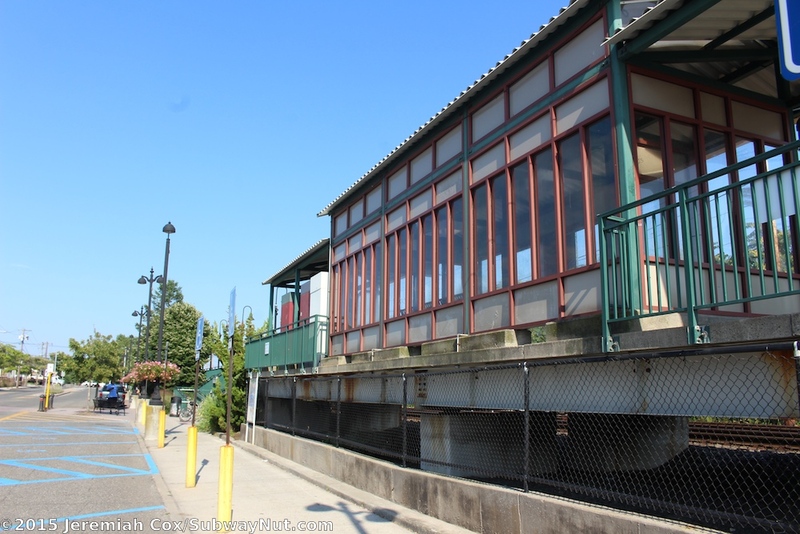 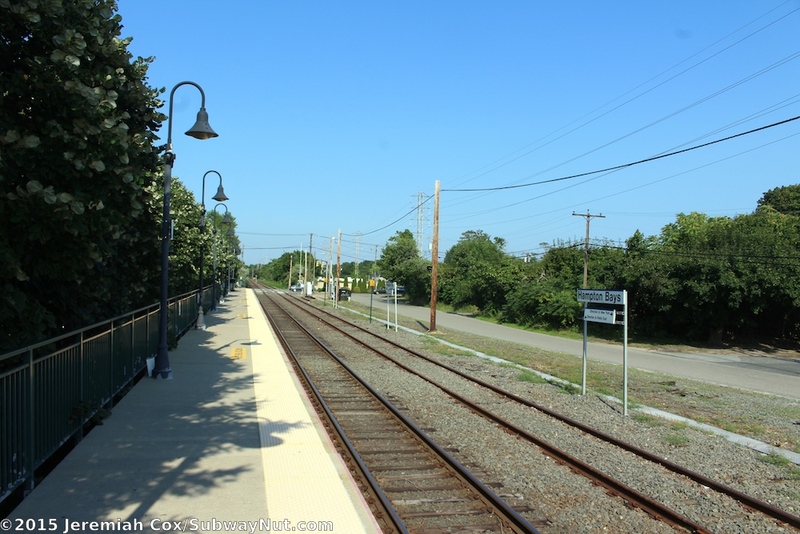 The station is bypassed by the Summer Thursdays and Fridays westbound Cannonball Express Train, the Sunday eastbound train and all of the other meager service that operates out to the Hamptons (off season just 5 to 6 trains per day) stops. 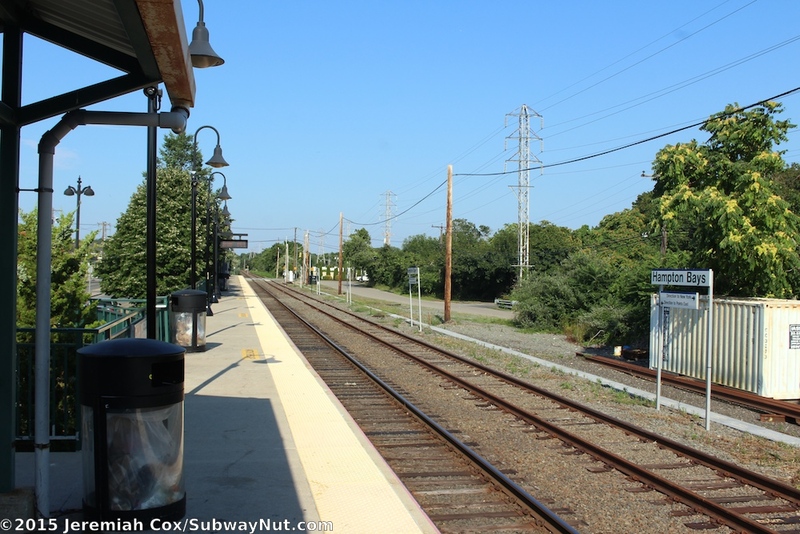 The platform beings about 150 west of the grade-crossing of Ponquogue Avenue and runs directly parallel to Good Ground Road. 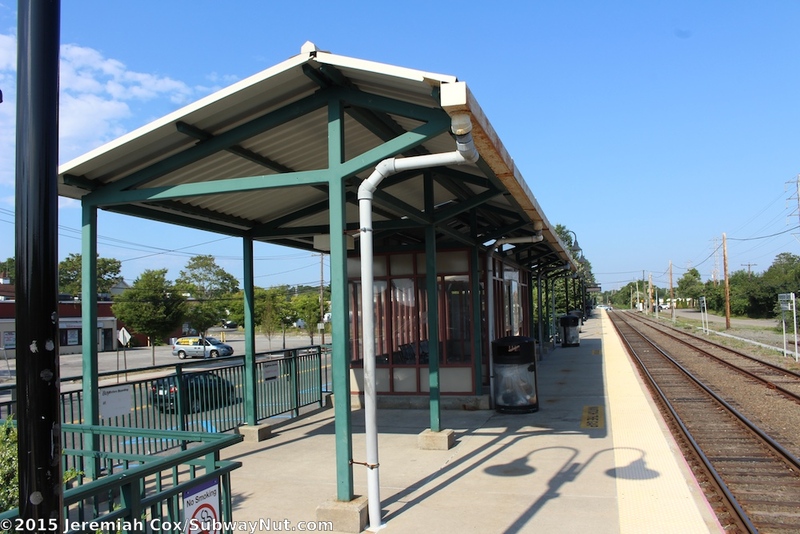 The platform has a canopy at its western end that covers a small waiting area with the only platform bench surrounded by green and cream windscreens. 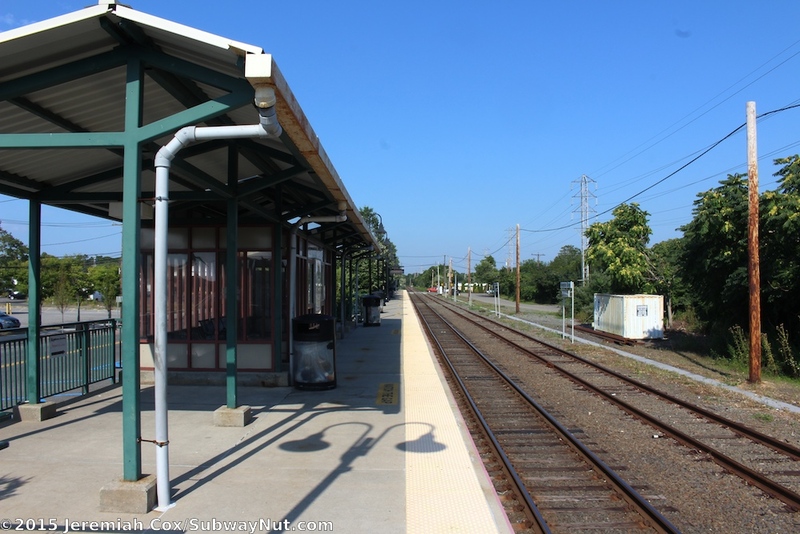 The canopy extends slightly on each side, including covering the station's two Daily TVMs. 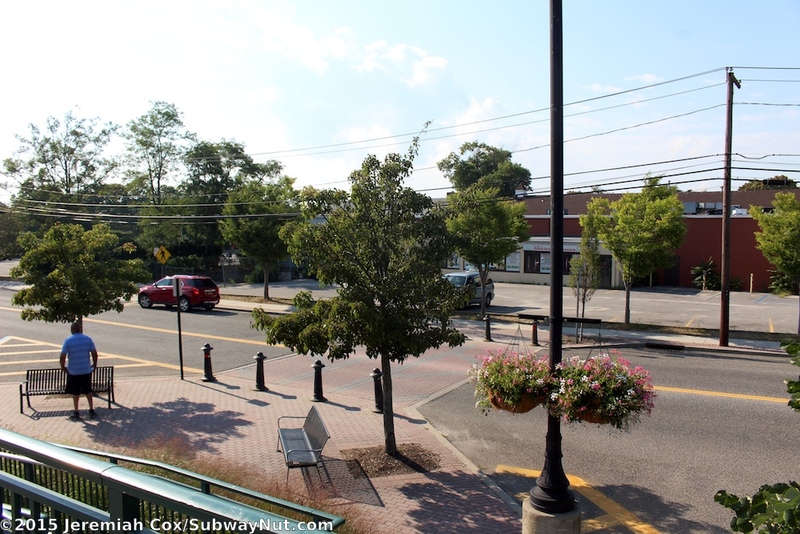 An ADA ramp leads off the platform east of the canopy structure to a small entrance plaza with a few benches at street level and wide, fancily paved crosswalk across Good Ground Road (to a strip-mall type of store with a parking lot between it and the street). 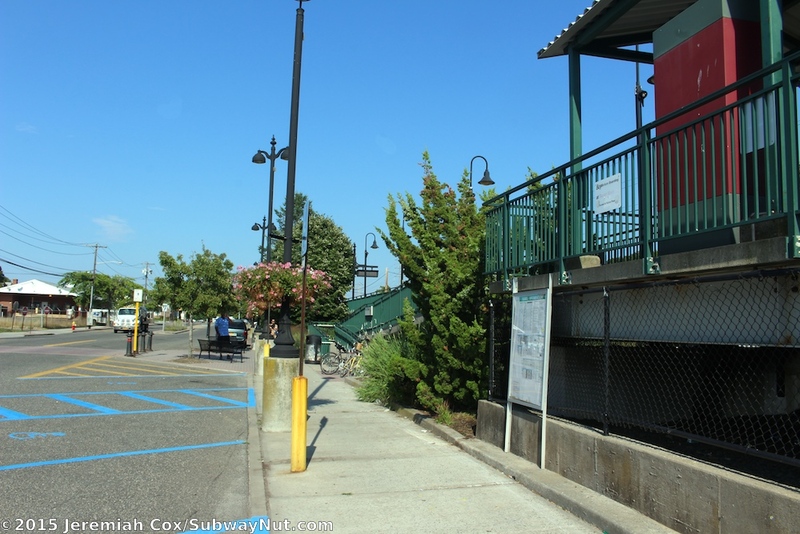 ADA parking spaces are located here behind the platform canopy with cars often using the ADA spaces to idol as a pick-up/drop-off loop. 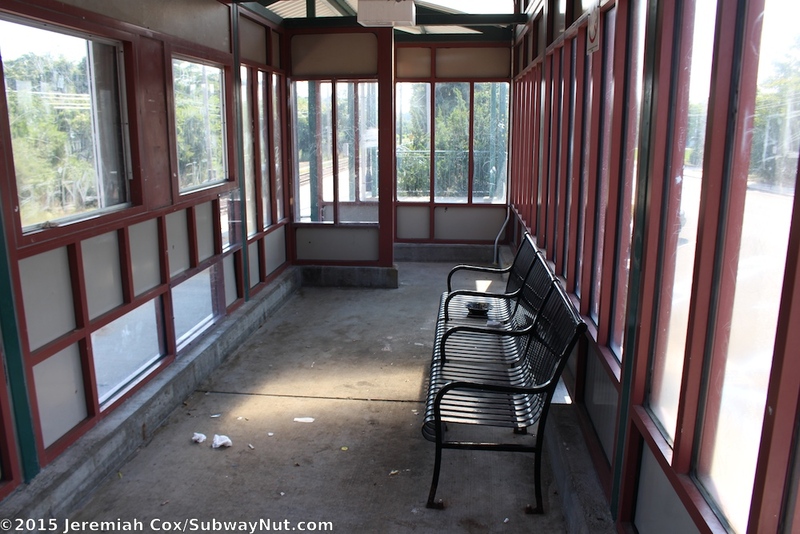 A second staircase is west of the canopy structure, while a third and final staircase is at the eastern end. 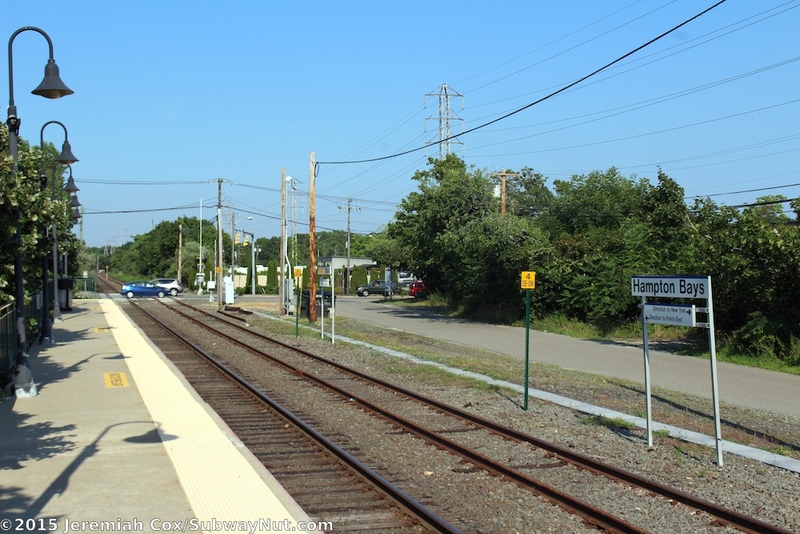 Wide and two-way Good Ground Road serves as the station's parking lot with a series of mostly angled parking spaces (some are parallel where more sidewalk room is needed) along the tracks that run west of the station platform nearly to the next grade crossing of Springville Road, a third of a mile west of the station, one source says these are a total of 143 parking spaces, all along Good Ground Road. 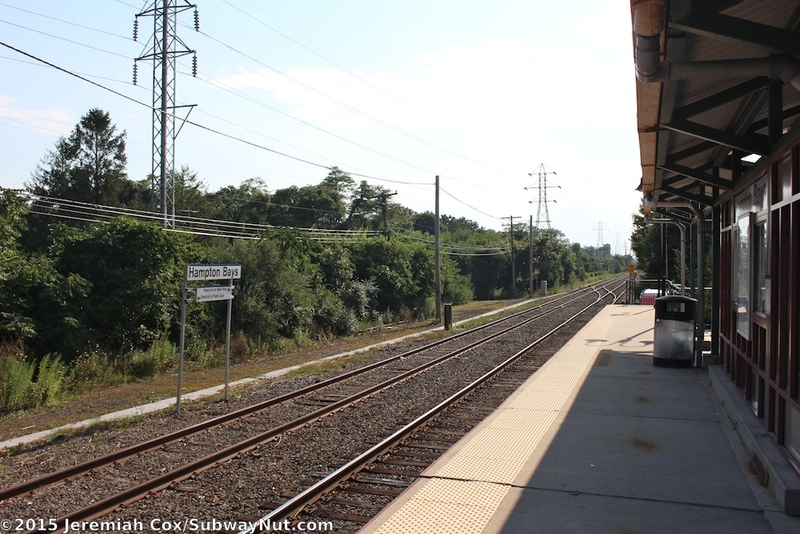 Directly across the tracks from the platform and without a fence) is a long unnamed driveway that becomes Road D.